PRICED WELL BELOW COMPS! This is the one you've been looking for! A big home on a HUGE lot. New carpet and wood like laminate flooring on the entire first level. 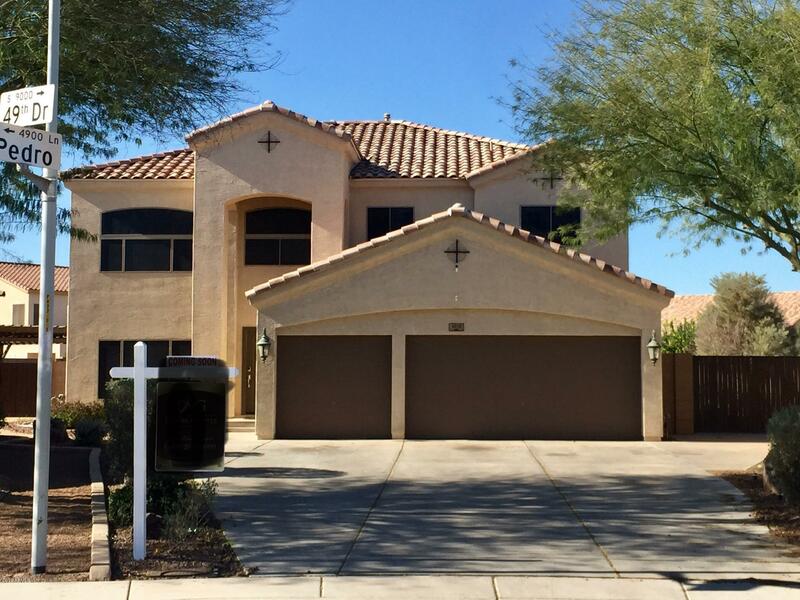 5 bedrooms and 3 baths provide plenty of room for everyone. One bedroom and a full bath is on the main floor. The master bath features a huge custom dual showerhead walk in shower. Formal LR/DR and family room downstairs witha loft upstairs. A 16 foot RV gate and a neighborhood that lets you actually park an RV onsite. There is more than enough room for an RV, boat, RZR,or any other toys. The 16,000 plus square foot lot has an large lawn area, sparkling play pool, gazebo, seprate hot tub and fire pit!! A great yard for year round entertaining.